Cook has investigated the nature of the emotional response to woven faces by mapping in the brain these responses and using the laboratory experience both with process and tools to stimulate her work in reaction to these investigations. 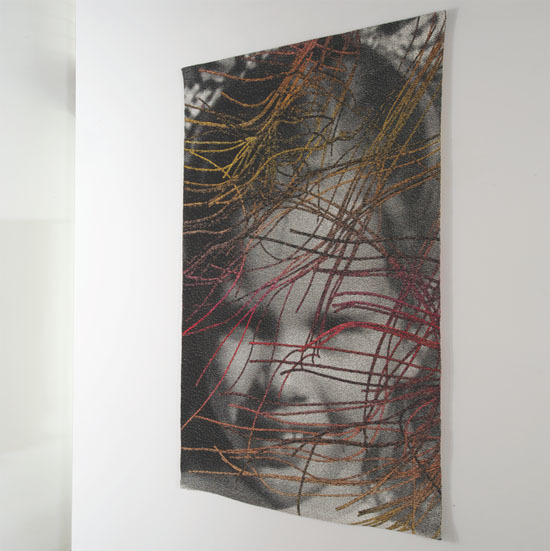 Her solo exhibition, Bridge 11: Lia Cook, which includes large-scale woven images of human faces and introduces several works based on her recent art-neuroscience collaboration, is at the Houston Center for Contemporary Craft through May 13th. 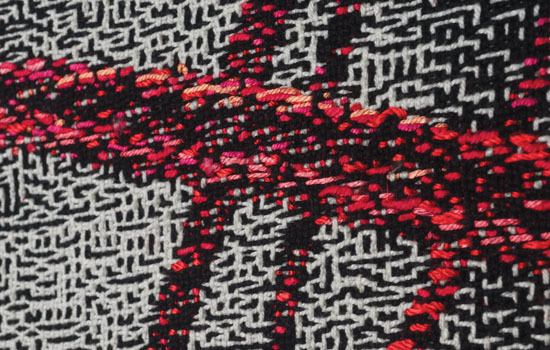 Cook is one of 11 artists whose work is highlighted in the current exhibition, Sourcing the Museum, at the Textile Museum in Washington, DC through August 19th and one of 14 artists featured in Sleight of Hand at the Denver Art Museum through May 13th.